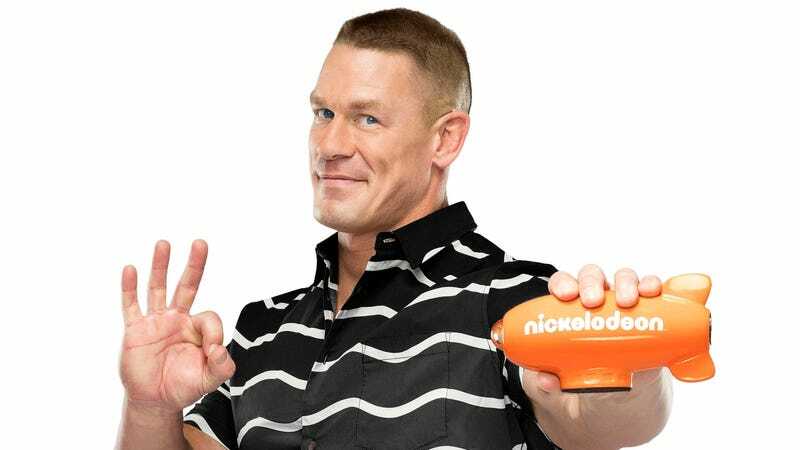 It’s almost time for the Nickelodeon Kids’ Choice Awards, which will be presented for the 31st time this Saturday night. With a performance from N.E.R.D. and presenters ranging from Channing Tatum and Kristen Bell to YouTube star Alex Wassabi, the awards should, as always, provide an interesting look at what kids are into these days. Some of that will be represented on the KCAs stage, which The A.V. Club is revealing exclusively below. Packed with secrets and slime-centric moments, the stage boasts both a massive, blimp-shaped video screen and a swingset perched perilously over a slime pit. Presenters will hand out awards from amidst a foam pit stuffed with mini-blimps, and kids will line the stage’s massive staircases. According to the show’s executive producer, Jay Schmalholz, the stage design was inspired by surprise, and will encourage both viewers and talent to “come play the Nickelodeon way.” Presenters can take a slide to the podium, which will be perched in the aforementioned blimp pool—a pool that, as Schmalholz notes, may hold some surprises. This being the Kids’ Choice Awards stage, Schmalholz says “you never know when or where the slime is going to come from,” noting that presenters “know what they’re in for” when they sign up for the KCAs. He adds that when the KCAs team approaches the set building, “the first thing we do is figure out the plumbing and draining first, and build up from there.” With thousands of gallons of slime prepped to hit celebrities and fans over the course of the show, production can, as Schmalholz says, get more challenging. The Kids’ Choice Awards will air live this Saturday, March 24 at 8 p.m. ET. John Cena is set to host.